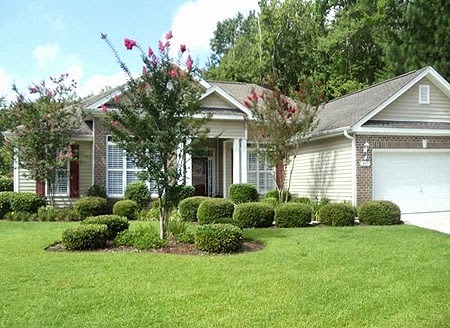 Beautiful home in one of the most popular subdivisions with all the amenities! Beautiful 4 bedroom, 3 bath home located on a quiet cul-de-sac in the popular golf community of Arrow head. A spacious open floor plan with split bedroom plan and extras that include wood floors in the living areas, coffered ceilings, a warm and cozy gas fireplace and ceiling fans throughout. Arrowhead's amenities include a pool area, children's playground, walking paths, tennis courts, a beautiful golf course community and more! Conveniently located close to all the area has to offer shopping, dining, entertainment, medical facilities, the airport, ICW and is just a short drive to the beach, yet is out of the busy hustle & bustle of the beach! For more information about this home contact us through our website, or use our MLS Search tool to find a list of homes you'd like to see!